Comet ISON was burned to death on its maiden voyage around the Sun, scientists say. The comet, which excited astronomers and the media as it zipped within 730,000 miles of the sun on Thanksgiving Day, was pronounced dead at a scientific conference Tuesday. 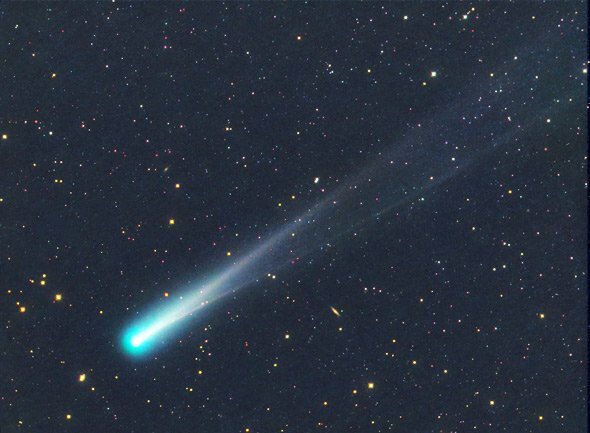 Naval Research Lab astronomer Karl Battams, who headed the observing campaign for the comet, said ISON was stretched and pulled by the sun’s powerful gravity. It was also hit with solar radiation. And the icy snowball just fell apart. “At this point it seems like there is nothing left,” Karl Battams said at the American Geophysical Union conference in San Francisco. Astronomers had hoped it would survive because some comets make it past close approaches with the sun. Last year, Comet Lovejoy did.